The 8th of June I arrived here and I will stay till the 1st of September. In October I will travel via Curacao then Miami. 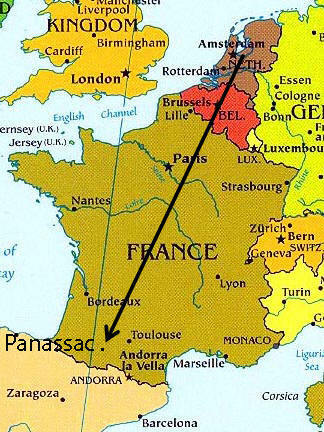 From the 7th – 15th of August we had our yearly Evangelistic camp here in France, what a great time to be here, serving and being part of it all. I have been here each summer for the last 7 years to help. I help with anything there is to do that is technical. Setting up the tent, connecting lights, connecting appliances in the kitchen. And there is always something to fix. 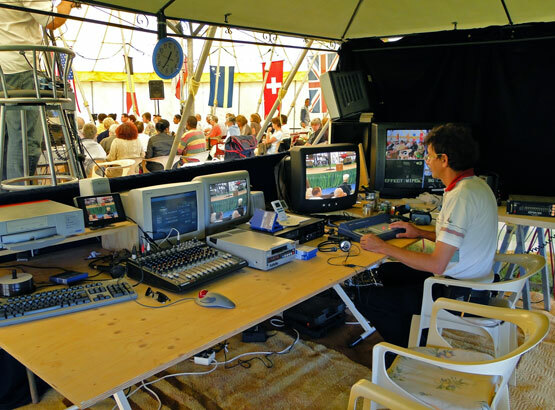 Each year I set up the studio in the tent with mostly 2nd hand equipment and televisions to record the meetings. Here you can see a nice panorama picture of a meeting in the tent. 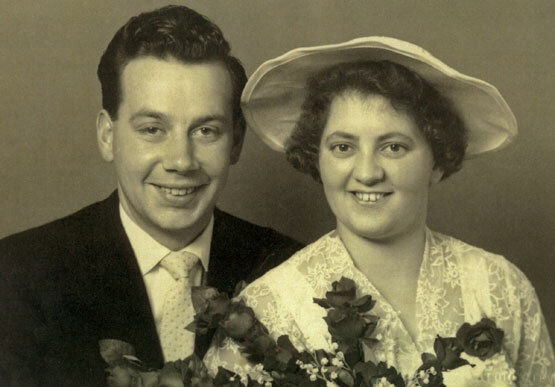 On the pictures you can see my parents from 1960 – 2010. They are almost 50 years married and you are all invited. Do invite all who know my parents too, all are welcome! The best gift they can get is to see old friends again. In October they also want go to Curacao and also have a day of celebration there. And the children home ministry “Hebron” is still going on and from which also other children homes have been started and not to forget the drug rehabilitation center which brought forth some pastors. The 13th of September I will be 48 years old. On the 15th you can congratulate me too. Would you like to help with a nice gift for my parents? 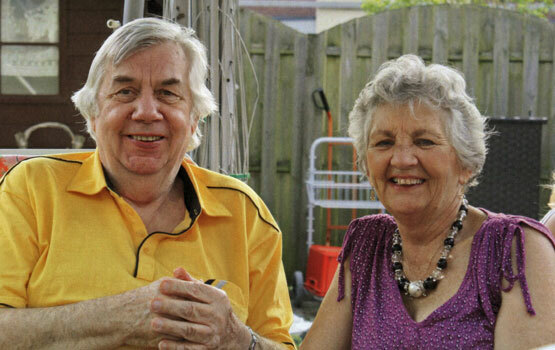 Wednesday the 15th of September my parents Piet en Klaasje Huisman are 50 years married. At their older age they still work parttime to help abandoned children in the Ukraine. They have just arrived back from the Ukraine by car (1600 km) to help the children and bring releif goods to the poorest country in Europe. What a better example do I have from my parents? God, Jesus Christ of course.